Fuzzy is one killer looking ant. But she's not an ant. She's actually a wasp. 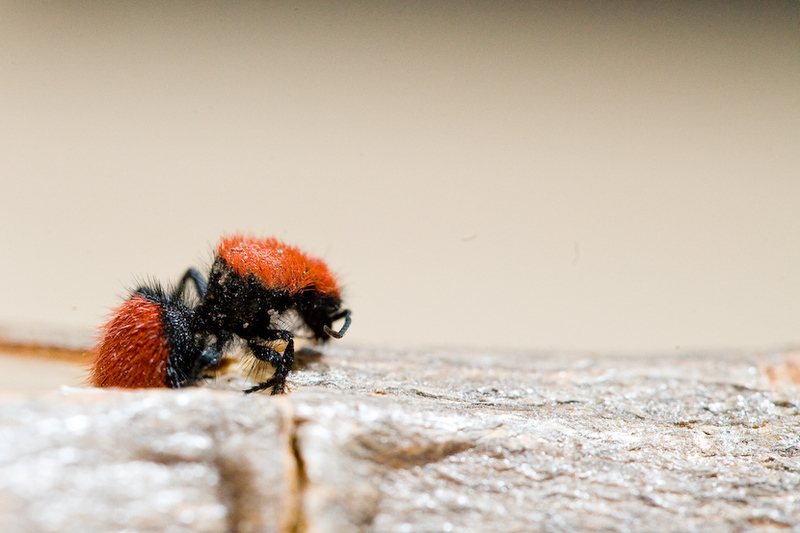 If you google fuzzy red ant, velvet ant, or Mutillidae you'll bring up pictures similar to below. Her wikipedia page describes her in more interesting detail. What you're about to read is her short lived adventure from the Grand Tetons in Wyoming to Oakland, California. Fuzzy, was found in the Grand Tetons in our first campsite during the ultimate roadtrip to Michigan. She was thought to be some crazy hairy ant and that's what we called her the whole trip. I forgot to mention that the reason we took fuzzy with us was because Ingrid is a bug collector and has a real bug collection that is bona fide. Ingrid put Fuzzy in a water bottle with some dirt and loved it all the way to Michigan. She never let Fuzzy out of her sight and was constantly worrying about how she's going to get the ant onto the plane on the flight back. We didn't want the ant to go through the x-ray, so we put her in a ziplock bag and I carried her in my pocket for 30 minutes. I was sweating, because the night before, we found out that she has a very powerful sting. Her official nickname is cow killer. All I could think of was the thin plastic and thin pocket lining that separated me and Fuzzy. Once we flew back from Michigan to California, Ingrid immediately put Fuzzy in new dirt with tons of flowers full of sweet nectar. She was living the life and Ingrid grew more and more attached to it everyday, until one day, I knocked the glass jar over and shattered her house into a hundred pieces. I ran around the counter only to see Fuzzy twitching on the floor. She died today. Ingrid was so sad and on the verge of tears. Rest in peace Fuzzy. 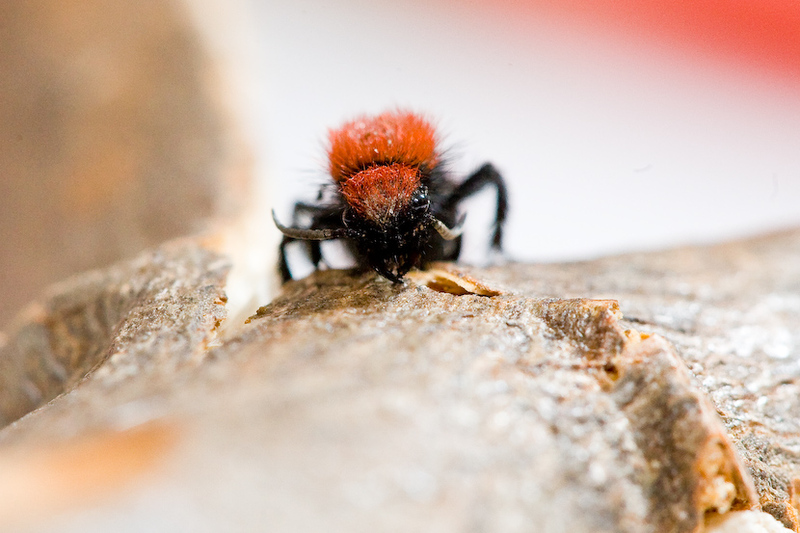 The only velvet ant that ever traveled from the Grand Tetons, to Ann Arbor and pass away in Oakland.